Last time we talked about virtual reality, augmented reality and mixed reality and it got me really excited to experience some of the technology. Fortunately, that wish came true sooner than I thought, well for experiencing a virtual reality that is. 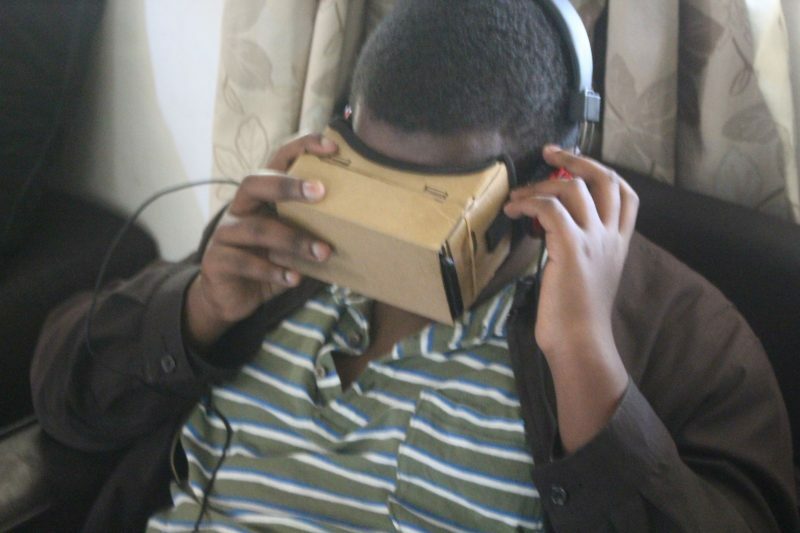 To consume VR content, you need to have a VR headset and Techzim just happened to have the Google Cardboard that I got to play with. My adventure began with consulting my friend Google on how to use the Google Cardboard and I was directed to the play store to download an application with the same name as the VR headset. The experience here was okay but it left me wanting more because all I could view were demos. And the demos were just motionless 360-degree pictures of some animated characters like a wolf in a weird virtual world. Back in 2013, some of my friends who were learning French got the opportunity to go to France for a trip. Now I’ve seen the Eiffel Tower and other famous places on pictures but it didn’t feel like I was there, like I was having the same experience as they had. So I wondered if I could visit France virtually now that I had a VR headset in my hands and that lead me to discover an application called Sites in VR. With Sites in VR installed on my phone, I found myself with access to many of the famous tourist attractions around the world including France. The headset I was using doesn’t have any buttons so, in some apps like the previous one, I had to keep on removing my phone from the headset so as to use the screen for navigation. In other apps like this one, you can just focus on a particular item for a few seconds for you to ‘tap’ on it. Once I had the navigation skills down, I quickly found myself on my own world tour. Oops, I mean virtual world tour. Unfortunately, the application kept reminding me that it was all virtual because all I was doing was viewing 360-degree pictures of the monuments. That really brought my hopes for good virtual reality experiences to an all time low. So I decided to ask the team what VR apps they had used before to consume VR content in a much more immersive way. The Fulldive VR app lived up to what I was told by the team. Instead of looking at pictures, I found myself participating on a roller coaster ride. With my headphones on, it felt like I really was there as I could hear all the sounds (people screaming, the roller coaster moving on the metal) and my head even followed the movements of the ride. Maybe the missing thing was the rushing wind but regardless of that, it was a good experience. I also went on a virtual tour of the Eiffel Tower with a guide and got to see it as if I was there. So you can say my dream to go to France was fulfilled, partly that is. Here’s what I discovered from my little VR adventure. Virtual Reality is great for entertainment and exploration but it’ll always fall short in that some of the elements like wind or smell will not be present as if you’re there. The good thing though is that some VR headsets like the Google Cardboard are very affordable ($2 online). So I might end up buying one for myself and you should too. In the end, the experience left me wondering how VR can impact other parts of our lives like education. Anyways, we’ll talk about that another day when I’ve found out its uses in learning. Bitcoin 101: Understanding the basics – What the hell is bitcoin mining?